I was driving down the road the other day and had to turn around and get a picture of this sign (click on the picture for a larger image). I had to chuckle when i thought how silly such denominationalism is — and the series of infighting and splits that must have brought this name about. Think about it! Christians were first called Christians in Antioch in Acts 11:26. Jesus used the word Church in Matthew 16 and 18. From the 1st century, Christian communities were referred to as Catholic — the Catholic Church, as can be seen as early as the writings of St. Ignatius of Antioch. And Catholic it from then on. Then in the 16th century, Luther came along and broke with the Catholic Church and decided to ditch the name. His group became known as Lutheran. Then a large group broke away from Luther and his new denomination because they rejected the infant baptism of Catholics and Lutherans. They were called Anabaptists — “ana” meaning again — baptizing again. This group was obviously spawned from the break with Luther in the 16th century (see my article on Baptist Successionism). They eventually shortened the name from Anabaptists to simply Baptists. Then someone decided to start their own little church within the Baptist tradition when they began to send missionaries around the world — usually to convert Catholics. Their parent group of Baptists must not have been sending missionaries. It was worthy of a split. They must have set themselves apart and taken the name MISSIONARY Baptist Church. But what happened then? 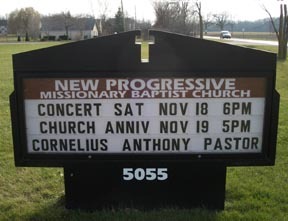 Maybe the Missionary Baptist Church got old fashioned and stoggy and so there was another split and the Progressives started their own denomination. They happily called themselves the PROGRESSIVE Missionary Baptist Church. But the Progressives started infighting about something or other and finally a group of elders or deacons rose up and split off again and started a new group down the street named the NEW Progressive Missionary Baptist Church. Now what? Who knows! 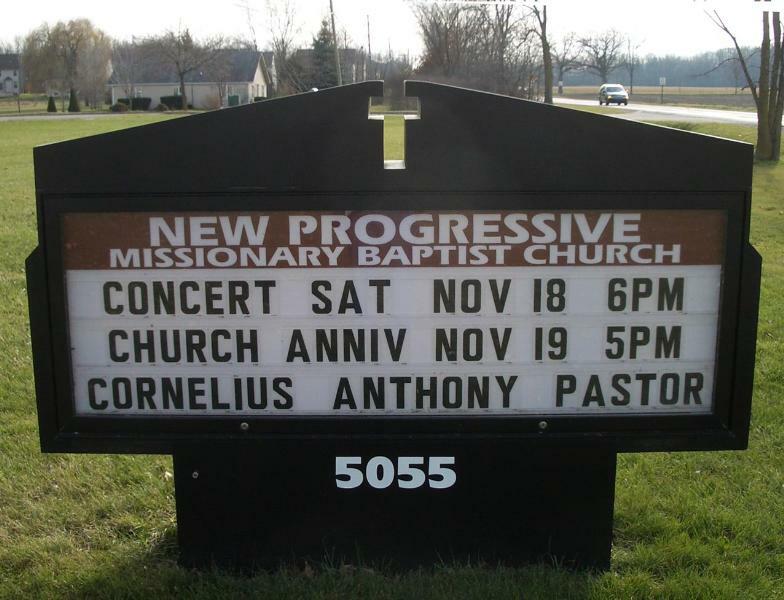 Tomorrow they may split again and make the FIRST New Progressive Missionary Baptist Church and the Second. And then it will probably split again into the NEWEST First New Progressive Missionary Baptist Church or the Holy First New Progressive Missionary Baptist Church. And then we will add multiple sects to the already 33,000 Protestant denominations. Or maybe they will just chuck it all and call themselves the First Baptist Church and start all over again. And probably, as actually happenings hundreds of times a day, many will leave these sects and return to the REAL First Missionary Church which understands true baptism and is always progressive. I happen to be speaking of the Catholic Church! Man, am I ever glad that I left that nonsense and became a Catholic. I think the first name of the Church was the best — and the first teaching as well.